The Sessler's are joyful about life these days and why not? They have three beautiful children, Jerrod is healed of advanced stage cancer and they live a vibrant existence! Their daily lives are filled with opportunities to serve others as they share their lives and the truth that has been given to them. It wasn't too many years ago, however, that much of this seemed impossible. Impossible except for one huge detail. They call it the God factor. The Sessler's did question their future after Jerrod was diagnosis with metastasized melanoma in late 1999. As explained to them, neither of them could retain hope in the pursuit of their life dreams, for Nikki to have children and for Jerrod to race. In addition to that, life expectancy for Jerrod was shortened to just the next few years...at best. By God's grace another plan surfaced. This explains their joy and their mission perspective. A little history... The extended family with some friends spent most of Christmas day 1999 discussing diet, lifestyle and this organization called Hallelujah Acres. This discussion included watching the 2-1/2 hour "God's Way To Ultimate Health" video by Dr. George Malkmus. Everyone sampled the green powder drink, BarleyMAX, which seemed to be a staple for success in this lifestyle. This day marked the beginning of an era of health awareness for the Sessler's, friends and family! "The changes we have made just in kitchen hardware seemed overwhelming to me at the beginning but as we learned and grew in knowledge, Nikki and I just took it step by step and it all seemed to make sense. One key factor is that we notice improvements in our health, relationships and attitudes first hand," said Jerrod when interviewed recently. Nikki adds, "I remember when we traveled to Chicago to see Jerrod's Uncle and Aunt several years before the diagnosis. We walked around downtown in awe of the view and the many interesting places to eat. It was in frustration however that we drove back to their home hungry because they would not eat any of the food we found. I believe this was an extreme example but it did etch an important experience in our memory. These memories later lead us to the Hallelujah Acres Diet and Lifestyle!" The Sessler's first child, Gabe, was born in June of 2001. He unknowingly amazes everyone with his health and talent. Gabe's little sister Farrell joined the family in March of 2003 and brother Jake in May of 2005. The trio is following the healthy direction of the family and continue to amaze with their smarts, attitude and ability! None of the kids have suffered sickness or consumed any drugs via injection or pills. After some prodding from friends, Jerrod decided to write a handbook of sorts as he told about the experiences of the first ten years after the cancer diagnosis and life as a primarily raw food vegan. From release in early 2010, Five Percent Chance has gotten a lot of attention and has been used to help thousands of people recognize the potential of making healthier lifestyle choices. "It is humbling, encouraging and exciting to get messages from people who have been helped or encouraged by the book (Five Percent Chance)" Jerrod says. These days the Sessler's are a busy young family. 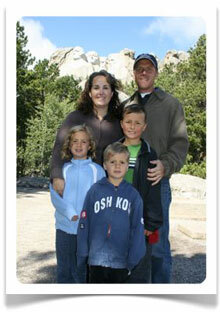 They enjoy traveling, speaking and sharing the great freedom that everyone can enjoy while choosing a plant base diet. 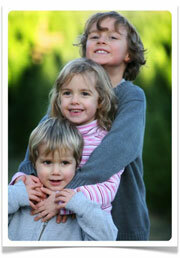 Home schooling gives them the freedom to travel, explore and meet many new people. 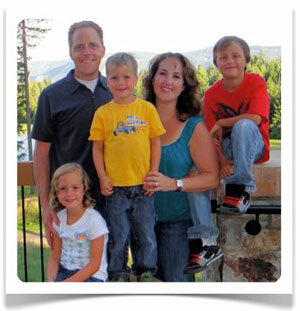 If you would like the chance to meet the Sessler's, invite them to your event here. Jerrod also founded and leads HomeTask which includes a group of service franchise brands.